The rally for Bitcoin is leaving behind a trail of altcoin bagholders. The majority of good cryptocurrencies have support in fiat equivalent but their price against Bitcoin have reached lows not seen since February of this year. Doge for example, was trading at an all-time low of 16 Satoshis when Bitcoin was trying to surmount $1,000 USD. Those 16 Satoshis are amplified 7 times as Bitcoin hovers around $7,000. In February, scaling issues caused what is referred to as “the Dash pump”; Altcoins started being used and recognized as competing cryptocurrencies or even crypto assets with their own merit. Most people will agree that Bitcoin is the dominating cryptocurrency, and as such, fees are proportional to its value. For example, gold isn’t used to make micro-payments such as buying a cup of coffee; one would use silver or a system similar to the gold standard (promissory notes backed by assets). Various cryptocurrencies are available to that end; Doge, as mentioned earlier, is widely utilized for its extremely low fees. The disadvantage with Doge is that it is not considered a store of value over the long term and an exchange service is usually required, meaning that Bitcoin fees have to be paid regardless. The convenience of using Doge is that you can make micro-payment (buy a cup of coffee), pay very little fees ($0.01 USD), and not have to wait for confirmation times (1 minute average block time). A smart merchant could utilize this blockchain to collect payments throughout the day and convert it through various means: API with instant conversion, A trading account, or use them to buy merchandise. One way of converting these Doge would be an atomic swap, but unfortunately, Doge does not yet have 2nd level scaling infrastructure. There are, however, various cryptocurrencies for which this feature is possible, most notably: Litecoin, Decred, Vertcoin and Viacoin. Litecoins are a good workaround instead of using Dogecoins. For starters, Litecoins are an excellent store of value and are generally less volatile than Bitcoin. Merchant adoption is also common, meaning that they can be kept and used without the need for an exchange service. Alternatively, Atomic Swaps are becoming more user friendly and various tools are being developed to facilitate the process. Although LTC transactions are relatively cheap, a transaction can still cost upwards of $0.55. In some countries, this amount may seem trivial, but could be considered a barrier to micro-payments for others. Although Vertcoin transactions are considerably cheaper at around $0.08, the reason being that the chain is relatively unused and merchant adoption is virtually non-existent. If Vertcoin becomes utilized, transaction fees could easily surpass those of Litecoin’s. Price Speculation: Although I am optimistic about Litecoin’s future, prices have been dropping against Bitcoin at a steady rate. There is enormous buy support and prices could stay above 0.00731฿ but 0.0071฿ is more likely with a possible swing up to 0.009฿. There is another week before the fork and the bloodbath will likely continue, bringing Litecoins close to 0.0057฿. These prices seem low, but LTC/USD is doing very good, with prices above $60 on the horizon. ViaCoin is an excellent choice for utilizing 2nd layer scaling solutions. Via is already designed to be efficient, secure and fungible. In this case, fungibility implies that the same item cannot be distinguished from another as a trading tool; One ViaCoin is identical to another ViaCoin. The same cannot be said for Bitcoin, as payments can be tracked. Some services, as we’ve seen, will track Bitcoin transfers and block accounts if users are found to be in violation of their terms of service, for example: Coinbase and gambling. This fungibility and untraceability aspect is often the key point of discussion with Monero, but unlike ViaCoin, Monero is not utilizable for micropayments and is more of a commodity or asset when compared to Via. As it is, Monero is not capable of Atomic cross-chain transactions, but may be in the future. Price Speculation: VIA recovered nicely since the beginning of October. Although I am skeptical about altcoins until the fork next week, VIA looks to be on an uptrend and could reach 0.00029฿ without dipping much further than 0.00017฿. I anticipate the next floor to be close to 0.00023฿ instead of it plunging like some others. In the event of a dip, or to set up buy support, 0.000128฿ would be the next level down. 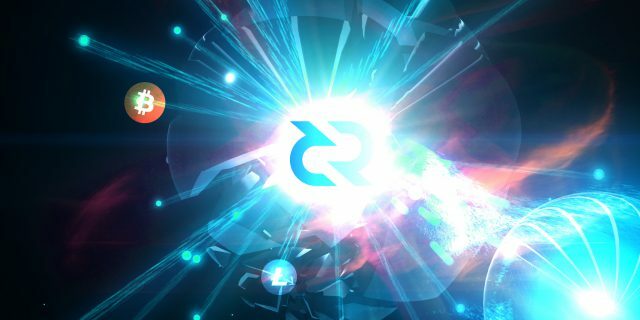 Decred recently gained some attention when the first atomic swap with Litecoin was performed. Decred is a community-based cryptocurrency that utilizes both PoS and PoW mining algorithms to ensure a more fairly distributed mining network. The Decred community has also built tools to make Atomic swapping utilizable by the average user. These swapping tools and GUI interfaces are paving the way for trustless exchanges where traders have complete control of their funds and can still trade at a fast pace with an order book. The technology is emerging where it could be possible, but for the moment, Atomic Swaps are generally reserved for large transactions with block-time delays. Price Speculation: DCR prices, like most altcoins, are struggling to keep a stable floor against Bitcoin. 0.0035฿ seems likely in the next few days with 0.0028฿ on the horizon. If there is a small pump before a plunge, I don’t expect DCR to make it further than 0.0053฿ until altcoins as a whole start recovering or catching up to Bitcoin.